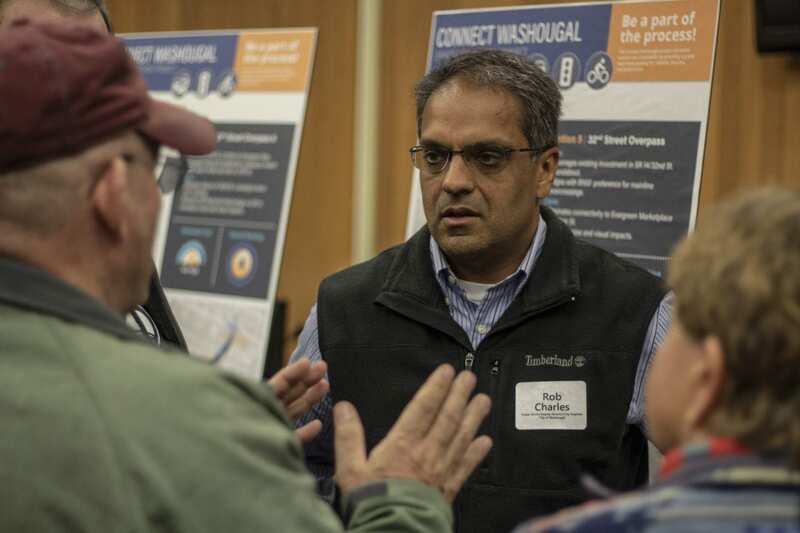 WASHOUGAL — The city of Washougal is moving into the second of a five phase project development campaign to overhaul one of its most busy intersections. 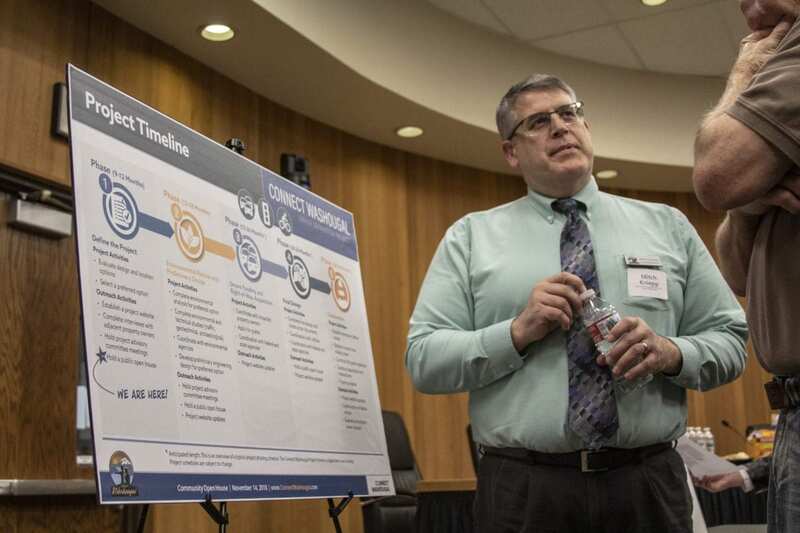 Connect Washougal was launched this past summer, and will likely extend into the end of 2020 or the beginning of 2021. The project will lay the groundwork to replace or alter the existing intersection at 27th and 32nd streets, alleviating traffic issues stemming from the BNSF rail crossing and will add additional pedestrian access ways. 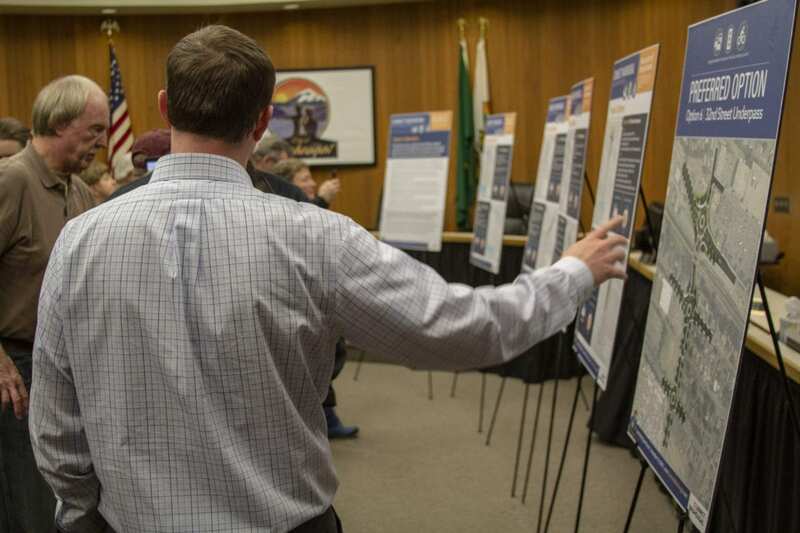 Of the seven options for construction, the city has settled on its favorite; a rail line underpass with the addition of three traffic circles at Evergreen Way, Main Street and Addy Street. The preferred option is roughly estimated at $40 to $60 million, according to Charles. In a perfect world, the project will take at most 18 months to complete, but Charles says he would be very surprised to see it finished in less than a decade. Charles also said he does not expect to have more solid cost figures until sometime in January or February, when quotes on the retaining wall design have been considered. 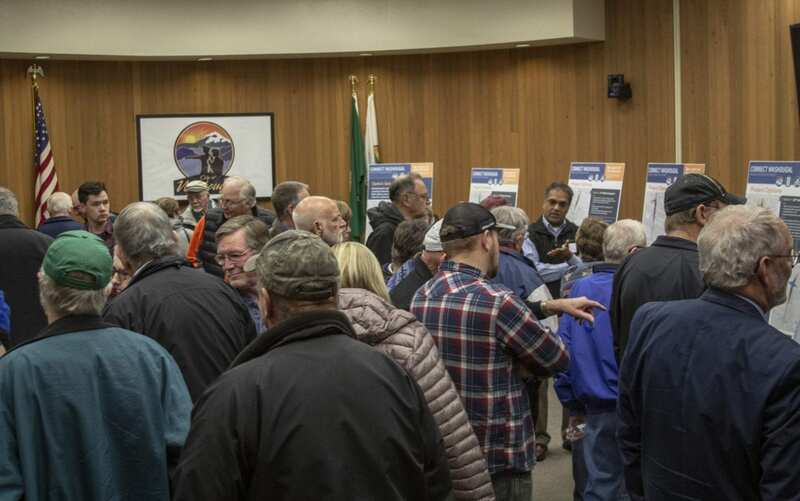 The city held an open house on Nov. 14 and was surprised to have dozens of community members show up, asking questions; interested in the process. Vancouver has already successfully integrated rail line underpasses and Coston said that is another reason for her support of the option. The project could be eligible for federal dollars, but must wait on Congress’s decision on funding allocated for transportation programs nationwide. To that end, Washougal is working to make the project appear as thorough and engaging as possible to show their serious intentions, Coston said. Coston said they are also looking to obtain funding from the Regional Transportation Council, the state’s Public Works Trust Fund, a small percentage from BNSF, and a portion from the citizens themselves. On the opposing side, Washougal City Council Member Paul Greenlee said he received two community opinions suggesting the preferred option would not be seismically safe if a large earthquake were to occur, but they were minor complaints, he said. Also to the point of drawbacks, Charles said he received community feedback expressing concern on how SR-14’s roundabouts would fit with the design, but said that is a separate project. Online, residents were encouraged to respond as well. So far, only six have shared their thoughts, with five in favor of the project and one against, according to Charles. During the next phase of the project, the city plans to conduct environmental impact studies, hold a second open house and project advisory committee meetings.